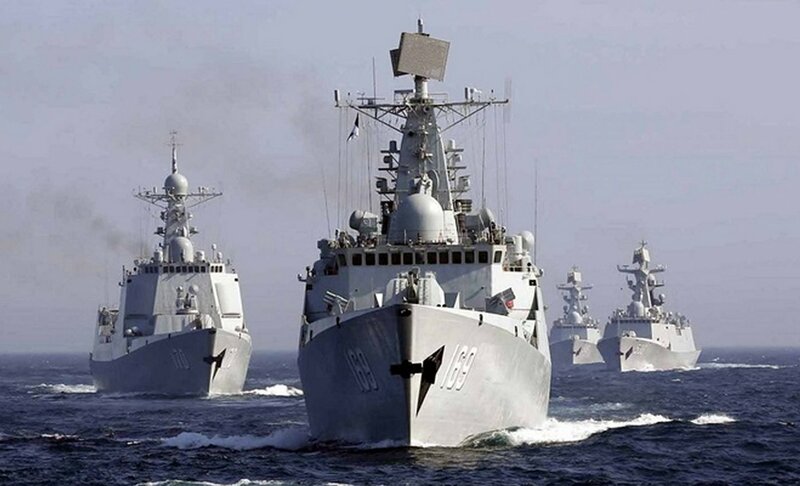 Five Chinese warships crossed into U.S. territorial waters heading south out of the Bering Sea exercising a stipulation in maritime law that allows a warship to cross into another country’s maritime territory legally, U.S. defense officials told USNI News on Thursday. Under international law a warship can transit through a nation’s territorial waters “so long as it is not prejudicial to the peace, good order or security of the coastal state,” according to Article 19 of the UNLOSC. Specifically, it means during an innocent passage a warship can’t launch or recover aircraft, collect military intelligence, distribute propaganda, launch any kind of watercraft, fire weapons, fish or take any other action that is not involved in the direct passage of the ship through the territory of the costal state. Innocent passage differs from a warship moving through an internationally recognized transit area like the Strait of Hormuz in the Persian Gulf or the Strait of Gibraltar. Warships are not subject to the innocent passage limitations during those transit passages. The PLAN group was composed of three surface combatants, an amphibious warship and a fleet oiler and were part of the seven ship group the Chinese sent to drill with the Russians earlier this month off of Russia’s Pacific coast and the Sea of Japan. 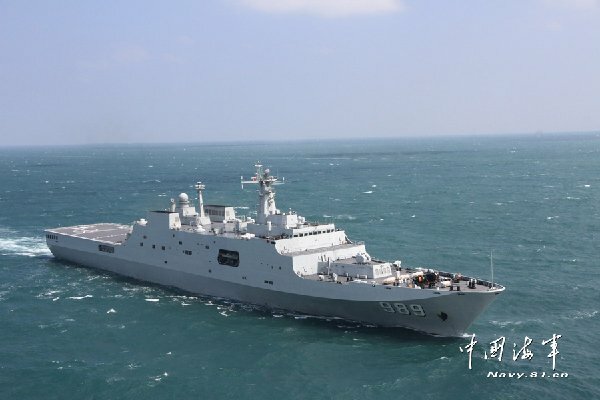 According to Chinese press reports, the PLAN sent Type 051C Luzhou-class guided missile destroyer Shenyang (115), Russian-built Sovremennyy-class guided destroyer Taizhou (138), Type 54A Jiangkai II frigates Linyi (547) and Hengyang (568), Type 071 amphibious warship Changbaishan, Type 072A tank landing ship (LST) Yunwushan (997) and Type 903 fleet oiler Taihu to the exercise. The PLAN flotilla entered the Bering Sea via international waters via a passage between the Russian Kamchatka peninsula and the American Attu island, a defense official confirmed to USNI News on Thursday. After operating in the Bering Sea — a first for the PLAN — the group passed east of Attu, through the Aleutians and into the northern Pacific Ocean. According to one maritime law expert, an innocent passage on the part of the Chinese would send several messages to the U.S. and the international community. Not only does the PLAN visit to the Bering Sea coincide with China’s massive celebration on the 70th anniversary of the end of World War II the operation also comes ahead of Chinese President Xi Jinping’s state visit to the U.S. later this month. “It kills a lot of birds,” James Kraska, professor in the Stockton Center for the Study of International Law at the Naval War College, told USNI News on Thursday. The PLAN ships moving through the Aleutians would be the legal equivalent of a U.S. destroyer moving through the strait separating mainland China from Hainan Island, Kraska said. Closer to home China jealously guards its own maritime boundaries and has at times required prior notification for ships making innocent passages in its own territorial waters and routinely challenges aircraft and ships in what are universally considered international waters. U.S. military ships and aircraft routinely conduct freedom of navigation missions in the South China Sea drawing fighter intercepts and verbal rebukes from the PLA. For its part, the U.S. has not made innocent passage part of its freedom of navigation missions in the South China Sea — a divisive issue between the Pentagon and the Obama administration, according to a late July report in Politico. Kraska said there was a perception in China that the U.S. viewed the Bering Sea the same way the Chinese see the South China Sea and the PLAN mission would be provocative. “They think this sends a big signal [to the U.S.] but they’ll be surprised that the U.S. treats them professionally,” he said.